Some 40 percent of the food we produce in the United States is chucked out — and not just moldy bread. Peek into dumpsters and garbage bags nationwide, and you’re bound to find food that resembles what you just bought at the supermarket. Barnard, a doctoral candidate at UC Berkeley, spent eight years researching food waste, which included regular dives into dumpsters and foraging in trash bags of major retail chains across New York City. He chronicles his experience in the new book Freegans: Diving into the Wealth of Food Waste in America. 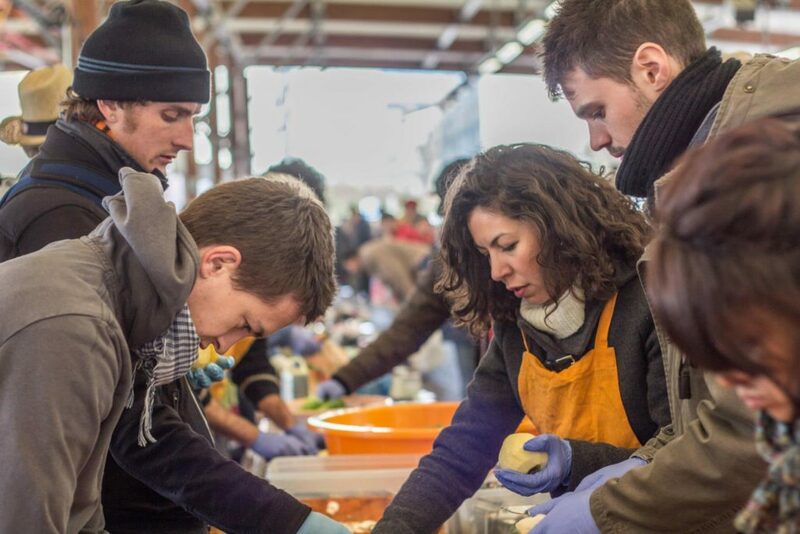 Alex Barnard, top left, participates in an event called Disco Soupe, which prepares meals from discarded food in public places (photo courtesy of Barnard). The Environmental Protection Agency and the USDA estimate that more than 33 million tons of food are wasted every year in the U.S., and yet more than 17 million American households are food insecure. We speak with Barnard about why we throw out so much edible food, why food pantries are a poor solution for hungry families, and why nonprofits that distribute leftovers may actually be perpetuating food waste. 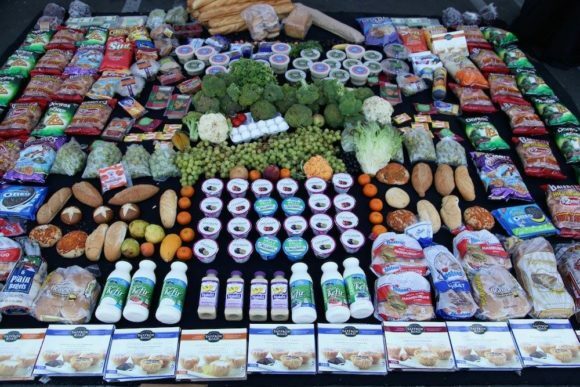 Featured image: Food collected from dumpsters (credit: Creative Commons/Rob Greenfield TV).